The Sacramento County Men’s and Women’s Championship was held July 16-17 at Ancil Hoffman in Carmichael California.Twenty three women played in this year’s event. The weather was nice, the golf course was good, and the greens were great. 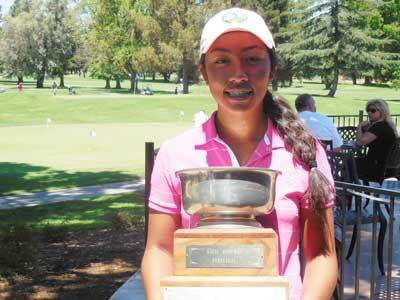 The Women’s Championship was won by 14 year old Sabrina Iqbal from San Jose with a 6 under par total 68-72-140. Mabel Wong and Sagee Palavivatana tied for 2nd at even par 146. In 2014 Mabel lost in a playoff to finish 2nd and last year she finished tied for 3rd , so maybe next year will be her year.